Government contracting is often seen as the holy grail for business, a reliable partner with a never-ending requirement and funding source. According to USA Spending, the federal government spent over $500 billion in the 2018 fiscal year, a steady increase without signs of decline. With such a large market, it is no surprise that businesses want a piece of the pie. But is the pie right for you? What Does GSA Stand For? Are GSA Schedules the Right Fit for My Business? Where Can I Learn More About GSA Schedules? I was Awarded a Schedule. Now What? First, what does GSA stand for and what do they do? The General Services Administration (GSA) is an agency of the federal government charged with centralized procurement oversight, building and lease management, and acquisition solutions. 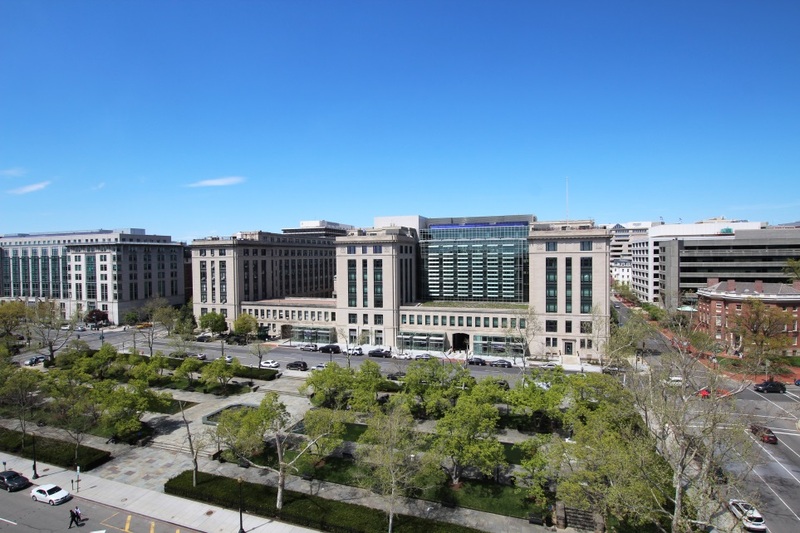 Often called the “landlord of the government,” GSA provides two major services to the government and public, at large: The Public Building Service and the Federal Acquisition Service. The Public Building Service (PBS) is the landlord. They are tasked with maintenance of federally owned buildings, leasing and management of the vast real estate portfolio, and acquisition and maintenance of services, supplies, utilities, and construction to maintain federal real estate. The Federal Acquisition Service (FAS) focuses on streamlining procurement of supplies and services for the federal agencies, the military, and beyond. They provide comprehensive acquisition support, mainly through the large GSA Schedules. The federal government has a need for a tremendous amount of supplies and services, many with short turnaround times and long-term commitments. Thus, the government established governmentwide contracting programs, the largest and most successful are the GSA Schedules Program. 'Schedules' is shorthand for the Federal Supply Schedules (FSS) and Multiple Award Schedules (MAS). These are large, long-term, governmentwide contracts with business and industry. Schedules connect government buyers to business in order to source compliant products and services at fair and reasonable prices. The large contract vehicles allow streamlined, technology-based orders that reduce administrative time for both buyers and sellers. There are currently 32 distinct schedules, with nearly 19,000 contracts in place. Contract holders offer over 11 million supplies or services with billions of dollars in revenue processing through the contract vehicles. GSA Schedules meet all the requirements of the Federal Acquisition Regulations (FAR), including competition requirements, key labor and socioeconomic requirements, and federal trade agreement requirements. The schedules, fully compliant, provide buyers and sellers with an opportunity for streamlined, targeted acquisition in a fierce marketplace. The federal contracting sphere is expansive, with opportunities available to sell to multiple agencies and organizations both within and beyond the federal government. So, who buys through the GSA schedules? What are the benefits to Buyers? Pre-qualified contractors with established past performance and pre-approved service capabilities and supplies. What are the benefits to Sellers? Just as the federal government has many benefits, so too does sellers in the GSA schedules marketplace. According to GSA, “schedule purchases represent approximately 21 percent of overall federal procurement spending--about $42 billion per year.” That’s a lot of opportunity, if it is the right fit. Preapproval and qualifications from a trusted source, demonstrating your firm’s capability to provide the products and/or services on schedule. Less competition, because you are only competing against fellow schedule holders. That said, competition is fierce, and the market is tight. Increased opportunity to get your name and products in front of federal buyers, leading to additional opportunities, if you play your cards right. Increased socioeconomic set asides. Federal buyers are required to set aside a certain percentage of contracts and awards to targeted socioeconomic groups. Being a small business with certification (including Women Owned Small Business (WOSB), Veteran Owned Small Business (VOSB), 8a small business, and HUBZone Small Business) can increase opportunity. Long term contracts, up to a potential 20 years if all options are exercised. There are a lot of benefits to buyers and sellers. But GSA Schedules are not always the right fit for every business. It is important to determine if you are in the right position to pursue a schedule. It is an extended time commitment with extensive administrative and marketing requirements. Below are key steps to follow to determine if a schedule is right for you. GSA schedules have a minimum threshold for participation. It is important to remember that GSA wants to award contracts to companies who can perform. These are only the minimum, and additional requirements and expectations are detailed in the solicitation. Do your research: does government purchase what you sell? Visit GSA eLibrary, where you can review current GSA schedule holder contracts, follow links to current solicitations, and review who the competition is. Visit GSA Advantage, where you can view current supplies and services, as well as price points. Use the Schedule Sales Query (SSQ) Tool, where you can research detailed sales information on schedule holder’s sales history and data. This will help you determine if products similar to yours have sold, when they sold, how often they sold, and at what price they’ve sold at. Look at the schedules and see who the competition is. How often are they receiving awards? Is one company dominating the GSA Schedule field? 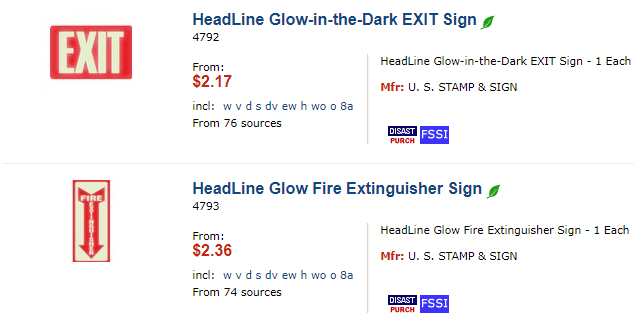 Is their pricing more, less, or in line with our pricing? Can we compete against currently listed price points? Remember, pricing on GSA schedules are ceiling prices. During the quote phase, contractors can quote lower prices, but they cannot go above the listed pricing in the contract. What are their delivery terms? Are their catalog offerings more, less, or the same as our catalog offerings? Can we compete in this market right now? If not, how can we become competitive? What sets us apart in this market? How can we market and sell ourselves on schedule? Just because you get a schedule doesn’t guarantee success. It’s only the first hurdle along the way. A schedule just gets you in the room, you must still be able to market and sell your goods to the government, building awareness of your business and encouraging use of your schedules. When assessing the feasibility of a GSA schedule, it is important to develop a marketing plan that details how you will reach government buyers. This plan will allow you to determine if you have the capacity and capability to market and reach agencies to drum up essential business. Is the time, cost, and energy worth a schedule? Do we have talent in-house to create and administer the contract? Can we afford an outside consultant to help, if issues emerge? Can we support the additional administrative and reporting requirements? Can we ramp up our order processing without extra burdens or outlays? Are we willing to take on additional staff, debt, or outlays in order to win the contract? What about after an award? Can we quickly and efficiently respond to eBuy quotes? Can we meet the minimum sales threshold required by the contract? Where can I learn more about schedules? GSA understands the complexity of the GSA schedules and offers trainings and educational opportunities to ensure contractors approach the process with eyes wide open. Let’s take a look at a few educational opportunities. In order to participate in the GSA Schedules program, GSA requires participation in key trainings to provide your company with key aspects of the program and ensure programmatic success. Pathway to Success: This mandatory training guides businesses through background information, participant expectations, schedule contract holder success, business plan development, and submission of a winning offer. It includes an assessment test. Readiness Assessment Training: After pathways, you must take the Readiness Training prior to submitting an offer. This self-evaluation module drills down into the schedules assisting you as you research, analyze, and develop a final decision on if the schedules are right for you. In addition to the mandatory training, GSA and other federal agencies offer educational resources. GSA offers Vendor Days to provide in person opportunities to learn about schedules, requirements, agency needs, and expectations. The face-to-face opportunity also offers a chance to get your name in front of buyers. In order to be awarded a GSA Schedule contract, there are intense requirements and extensive preparation. The process can take up to a year to gather the data, ensure registration, and submit an offer. To set yourself up for success, there are a few key pieces of information you can begin to gather now. System for Awards Management (SAM). You must be registered in SAM, active in the system, and complete your Annual reps and certs in order to compete for awards. GSA uses Dun and Bradstreet’s Open Ratings report to assess and review past performance as a key factor. You need at least six past performance references completed in the open ratings system, and due to the potential time constraints, it is best to gather these prior to beginning the proposal process. As a note, GSA will also review CPARS evaluations from federal contractors. The government requires a percentage of awards to be set aside for small businesses that meet key socioeconomic factors. Prior to applying for a GSA schedule, it is highly recommended to certify as a small business in any applicable socioeconomic programs. This is a good way to ensure you get a leg up on the competition. The advantages are built into the system. Take them! Go to the GSA eLibrary and find the schedule that best fits your business. Click on solicitation. This will take you directly to the solicitation documents at FedBizOpps (FBO). If you already know the solicitation number, you can directly locate the solicitation at FedBizOpps. Prepare yourself because solicitations are hundreds of pages long and made up of key forms, evaluation factors, mandatory provisions and clauses, proposal requirements, and additional, supplemental information. It is vital that you read the solicitation in whole, highlighting key sections and detailing any questions you have on the document. Make sure you understand the terms and conditions. These are incorporated into the contract, dictated by statute or regulation and they are difficult to negotiate out. Ensure you are comfortable with the agreement and flag anything questionable for later negotiation. After review of the whole solicitation, it is time to focus on the evaluation factors and proposal requirements. This details what you are required to address in the proposal and include in the proposal package. The evaluation details how your proposal will be evaluated and includes the standards you must meet or exceed in order to be deemed acceptable. Highlight the information and craft a compliance checklist. Use this both as an outline, a reference document, and a personal evaluation checklist to ensure you capture all the information first time around. If you leave something out, or do not address it fully, your proposal can be rejected. And remember, GSA schedule solicitations are on a best value continuum. Based on the FAR, a best value solicitation looks at the totality of the offer to ensure the government receives the greatest overall benefit. Do not focus solely on one section to the detriment of others. The government will be reviewing any proposals holistically. It is time to prepare the proposal. The requirements are involved and can be extremely time-consuming. Preparation is key to success, so we are pleased to provide a general overview of proposal requirements. That way, you can understand the scope of the project at hand. So, what information will you need? Cancellation/Rejection Letters-If you have held schedules that have been cancelled or proposed but were not awarded a schedule. Price Narrative-In addition to above, this is support and demonstration that all pricing is fair and reasonable. I’m Interested. How Long Does it Take to Get Certified? GSA evaluates offers in the order in which they are received. 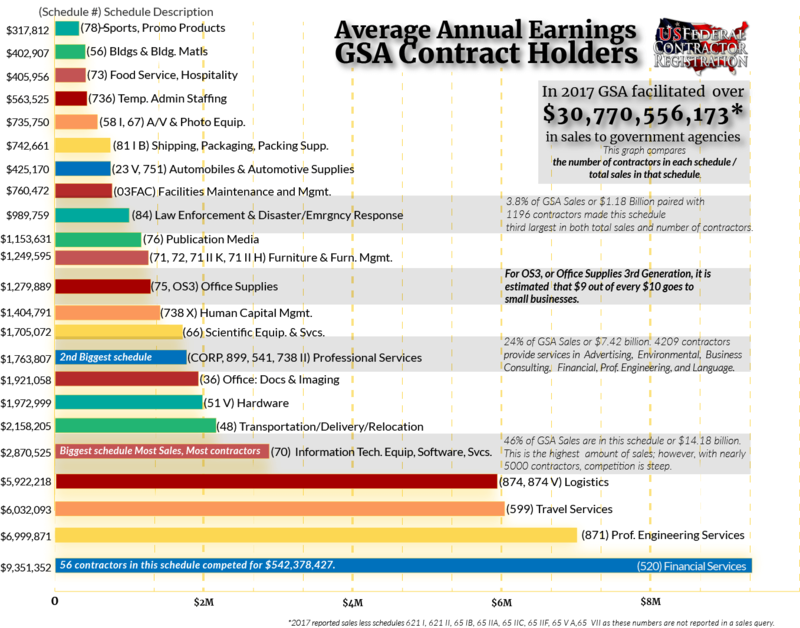 Because of high interest and a significant increase in new offers, it may take up to 12 months prior to an offer being evaluated by a GSA Contract Specialist. Once evaluated, it may take an addition 3-12 months for an award, based on completeness of the proposal, negotiation requirements, price reasonableness, and staffing factors. Due to the significant administrative evaluation time, it is imperative that you put your best, most complete, compliant proposal first to streamline an award. Now, it is time to return and update your marketing plan. A schedule award is not a guarantee of future orders. You will need to fight to get your name in front of government buyers, craft compliant quotes via the eBuy system, and sell, sell, sell. Your success is what you make it. You will need a contracts manager to monitor the master schedule contract and coordinate with a GSA representative to ensure you are compliant on all terms and conditions of the award, including labor laws, EEO requirements, reporting and administrative functions, and Buy American and Trade Agreement requirements. You must generate $25,000 within the first two years of schedule award. Not doing so risks cancelation of the award. After two years, the expectation is your business will exceed $25,000 per year thereafter. So, market and respond to RFQs. Get your name out there. You will be required to report sales and pay the Industrial Funding Fee (IFF) for all sales via the schedule. The IFF is a quarterly fee that pays GSA for administration of the contract. You must share your complete schedule pricing on GSA Advantage. As a public contract, it is imperative that you maintain transparency requirements. Below, please find a list of every GSA Schedule and the broad category to which the Schedule applies. After, please find a more comprehensive review of each Schedule. GSA’s Integrated Workplace Acquisition Center (IWAC) offers a wide variety of management services related to Furniture and Furnishings under Schedule 71 II K, Comprehensive Furniture Management Services (CFMS). The other furniture Schedules include services specifically related to the products covered by that Schedule, such as layout and installation. GSA Region 2, Northeast and Caribbean Supply and Acquisition Center, reopened Multiple Award Schedule (MAS) 75 for new offers on January 16, 2018. Includes Videotapes, Audiotapes, Tape Cartridges, Diskettes/Optical Disks, Disk Packs, Disk Cartridges, Anti-Glare Screens, Cleaning Equipment & Supplies, Ergonomic Devices, Next Day Desktop Delivery of Office Supplies, and Restroom Products such as Roll Toilet Tissue Dispensers, Toilet Tissue, Paper Towels, Toilet Seat Covers, Facial Tissues, and Soaps for Restroom Dispensers. Top-notch camera equipment offerings, supplies, accessories and related photographic services are all available. GSA contractors on Schedule 67 provide you with green solutions, including digital services for film and media, as well as website photo storage systems. These systems have the capability to accept images from any format, and can be downloaded directly from any digital camera. The GSA schedule program maintains three key websites for government buyers and industry sellers. GSA eLibrary is the online repository for all Schedule contract award information, including copies of each schedule holder’s contract, a searchable list of each category with contract holders, open solicitations, and generic categories of supplies or services under each distinct schedule. This is a great market research tool and a central point for understanding the schedules program. GSA Advantage is the Amazon marketplace for approved federal, state, and local government agencies buyers and sellers. The Advantage website provides a quick, efficient way to purchase pre-priced, pre-approved items that are currently on GSA Schedules. Anyone can browse the products and services on GSA Advantage, including offerors, pricing and terms of orders. Government buyers can order directly through the platform from selected sellers. Direct purchases are typically limited to amounts below the micro-purchase threshold (currently $10,000 for supplies and services not subject to the Service Contract Act), using a government purchase card (GPC). In the event the requirement exceeds GPC limits, buyers use the eBuy quote system. GSA eBuy is an online Request for Quote tool used solely by government buyers and schedule-holder sellers. eBuy allows government (federal, state, and local) to issue a Request for Quote (RFQ) for specific agency requirements in order to receive increased participation from approved sellers at the best value to the government. Sellers review the RFQ, craft their quote, and provide a response by the timeline. A resulting order is made against the GSA schedule contract. By using eBuy, schedule holders and government buyers reduce procurement lead time, easily verify fair and reasonable pricing, and maintain an established, pre-approved supply/service list. In doing so, this eBuy ensures government meets any socioeconomic and competition requirements and schedule holders work toward meeting their minimum sales obligations. The GSA schedules program is a governmentwide contracting program that can open opportunities for your business and get you a big piece of the government pie. If you still have questions and want to learn more if the schedules are right for you: take a training, talk to an expert, and visit GSA’s Vendor Toolbox, which will help guide you to make the best decision for you. Good luck!